Histories, ghosts and memory are consistent themes throughout Sarah-Mace Dennis’ interdisciplinary practice, involving text, photomedia, performance and video. I first came across Dennis’ work in 2004 when she was collaborating with Svenja Kratz on a series of projects inspired by the historic goldmining town Hill End in regional NSW. A story of infanticide and suicide, To Rose (my Love) (2004-5), was an interactive video installation in which the viewer’s shadow falling on the screen in the gallery revealed ghosts hidden within the image. 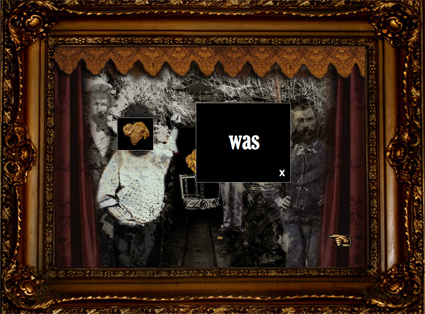 The culmination of the series was the hypermedia work Di.O.ram.a: Constructing a Virtual Memory (2007), a journey of image and text uncovering real and imagined stories from the town circa 1872. These early works were impressive for their blending of both real and imagined histories and their technically ambitious formats. Dennis’ most recent work continues these earlier preoccupations but on a much larger scale, thanks to a series of public art commissions. The first of these was Moving over the shoreline, commissioned by art+place (2007-2012), the body responsible for managing the funds raised from compulsory cultural contributions levied on new commercial building development projects in Brisbane. Moving over the shoreline is a two screen, permanent video projection on the façade of the Queensland Multicultural Centre, drawing on historic and contemporary stories about immigration and particularly inspired by Yunguba House, the Brisbane immigration depot in the 19th and 20th centuries. Sarah-Mace Dennis Sounds from the Emergent State, commissioned by the State Library of Queensland for the exhibition Live! Queensland Band Culture. 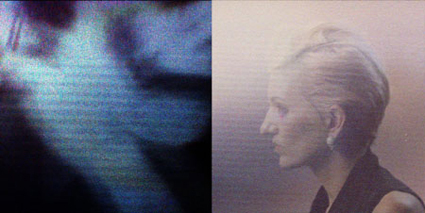 Dennis’ Swallow, currently in development, offers a different perspective on the experience. “Since Mondo Ghillies I have done a lot of writing about the event, so Swallow is from a [more reflective] position. The work has multiple characters that I play myself. The idea is that these are really ghosts of myself that I became during my recovery. With a brain injury you go through these really remarkable changes where you think, ‘My brain is functioning again, I’m back to normal.’ But it’s a little bit like the feeling I had when I was a teenager when I thought, ‘Now I’m grown up.’ A year later I looked back and went, ‘Wow, I just didn’t know anything then’…The work really is reflecting on what it means to be a person with no brain, how that challenges your perceptual frameworks and your identity—how you even come to comprehend existence.” Heath Ledger also has a ghostly cameo: Dennis, while in her coma, seemed to absorb the news of the actor’s death, knowing this fact on waking. As well as Swallow, Dennis is working on a large-scale video project, Do you protest in silence?, which indicates a shift of focus from historical to contemporary social reflection. Through her experiences making Sounds from the Emergent State, Dennis has become increasingly interested in how music and art inspire social change. She has recently moved to London via New York where she met up with filmmaker Antonino D'Ambrosio whose recent documentary Let Fury have the Hour explores how artists can elicit “creative responses” from people that dramatically effect culture as a whole. Dennis hopes to continue her dialogue with D'Ambrosio as she works on her video project.